Throughout his illustrious NBA career, Cleveland Cavaliers star forward LeBron James has earned various unique opportunities off the court. It appears that James has earned the honor of gracing the cover of NBA 2K19, which marks the second time that he has earned the honor to be the cover athlete for the video game series. The last time that James had received this honor was for NBA 2K14 back when he was a member of the Miami Heat. In the time since that opportunity, he has rejoined the Cavaliers helping lead the team to four straight NBA Finals appearance along with helping lead them to their first NBA title in franchise history. James is playing some of the best basketball of his career in the 15th season that has seen him put up some career-best production while still being regarded as being the best player in the league. The 33-year-old is also still the most notable name in the league as one of the most popular players that makes this selection not surprising by any stretch. 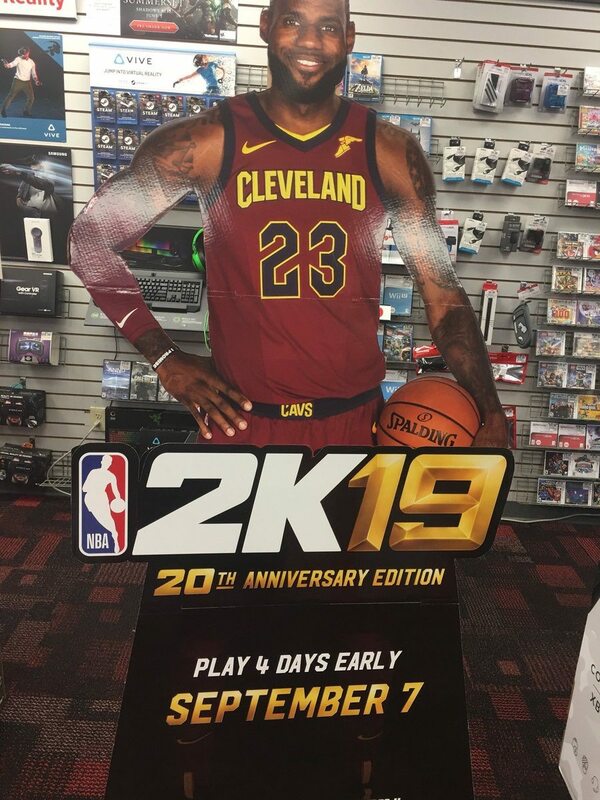 What could make things interesting is that NBA 2K could be put in an intriguing position if James were to leave the Cavaliers this offseason as it would be the second straight player to have their jersey changed on the cover. Last year, it was All-Star point guard Kyrie Irving being traded to the Boston Celtics shortly after dawning the cover in a Cavaliers’ uniform. Nonetheless, this is still a unique honor that not many players in the league get the chance to grace more than once as several other current and former players have earned the honor with Hall of Famers Allen Iverson (four), Kobe Bryant (twice), Shaquille O’Neal (twice), and Kevin Durant (twice). The 20th-anniversary edition appears to be available to play on September 7.